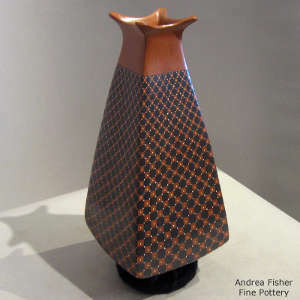 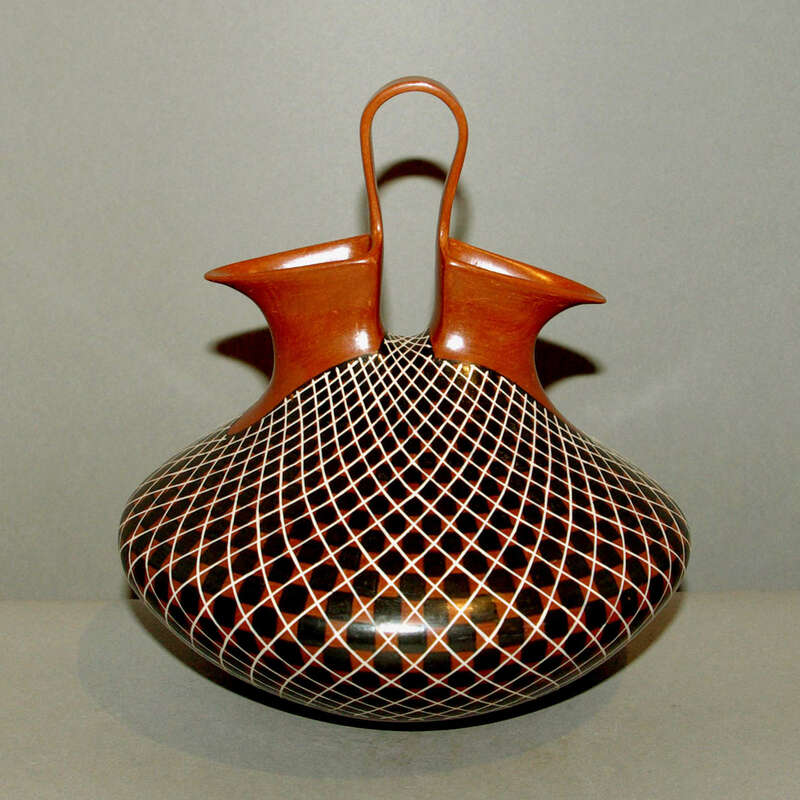 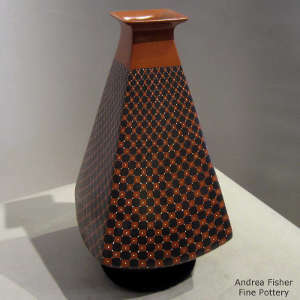 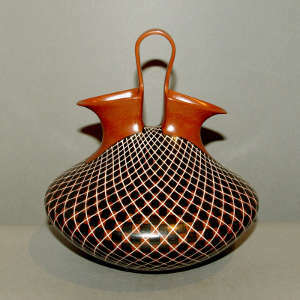 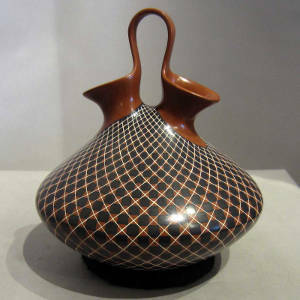 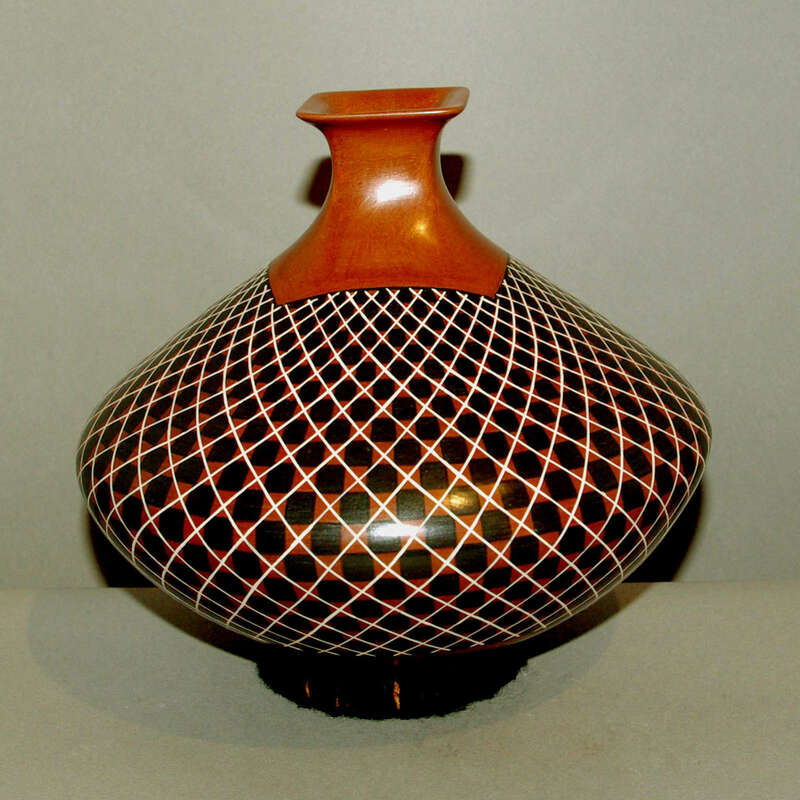 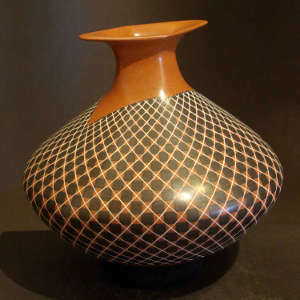 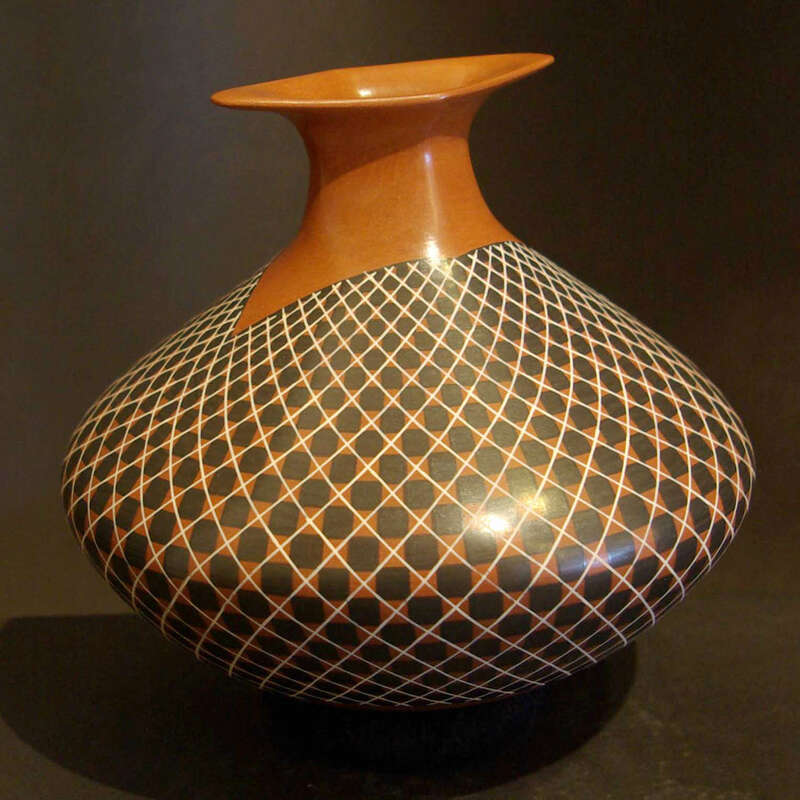 Olga Quezada de Ledezma is a potter who works in Mata Ortiz. She's not related to the famous Juan Quezada but she and her husband, Humberto Ledezma Jacques, have become one of the premier potting teams in Mata Ortiz. 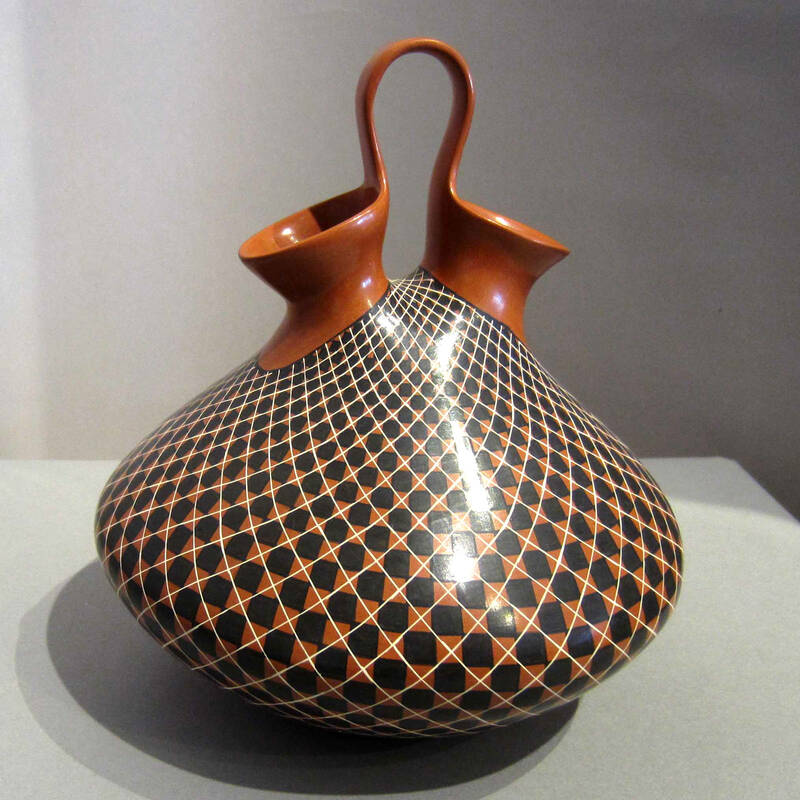 She learned the ancient art from their neighbors, Gerardo Cota and Angela Banuelos Lopez, then taught her husband. 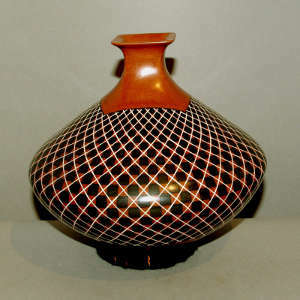 These days, Humberto usually makes the pots and Olga paints and signs them.